New Firmware Version Available. Contact us for more details on how to update! Efficient charging. Each charging station compartment is equipped with a power outlet and a 2.4 amp USB port, so you can charge almost any device, including; iPads, Tablets, Laptops, Chromebooks, mobile phones and more (1). Intelligent remote management. 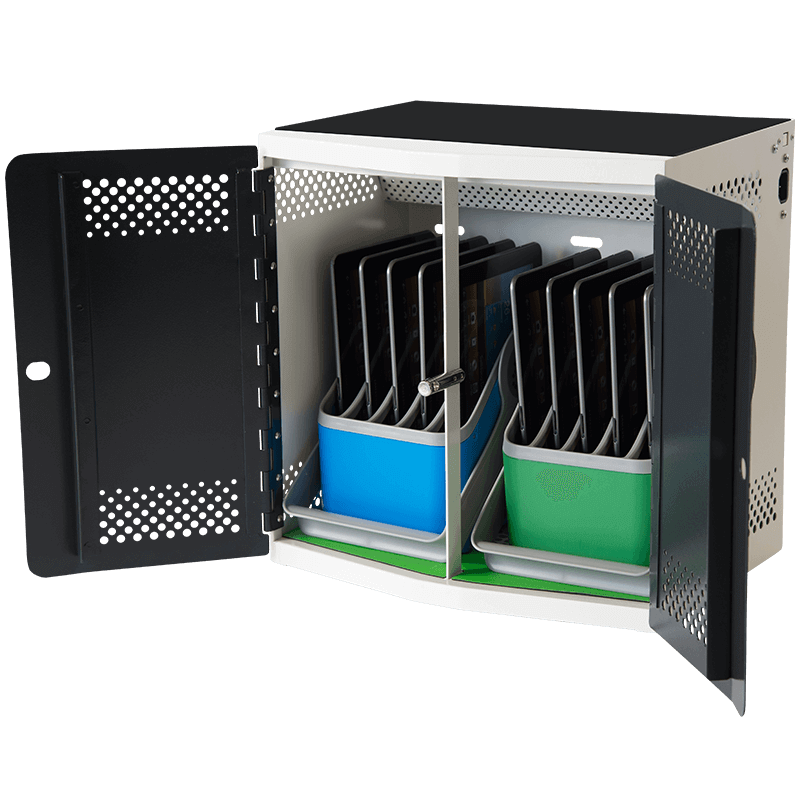 FUYL Tower features innovative software that enables administrators to actively monitor locker usage anytime, anywhere. Highly Secure. The digital keypad controls the security of every compartment. Additionally, the management software records every time a compartment is opened or closed, enabling administrators to investigate abnormal usage. WiFi Ready. The FUYL Tower is capable of connecting to your network with the built in WiFi functionality. More than just a powered locker. Where the FUYL Tower shines is through the innovative management software that comes included with the tower itself. 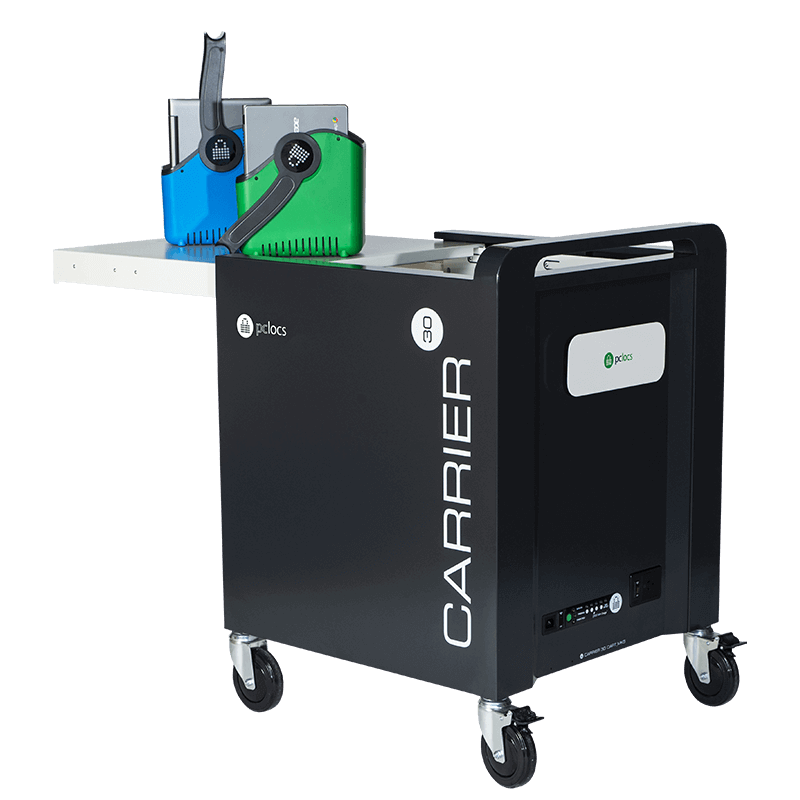 Once network connected, designated administrators can view, access and manage one or more FUYL Towers remotely. Remote access. Administrators can remotely open any door at the touch of a button; receive alerts of any abnormal usage or technical fault and download a full audit log. Future proofed. FUYL Towers are upgradeable. This means that you can benefit from software and firmware updates as the product evolves. Modular and scalable. The FUYL Towers minimalistic design adapts to any space and is perfect for Schools and Universities where staff and students bring their own devices (BYOD). Fully ventilated. 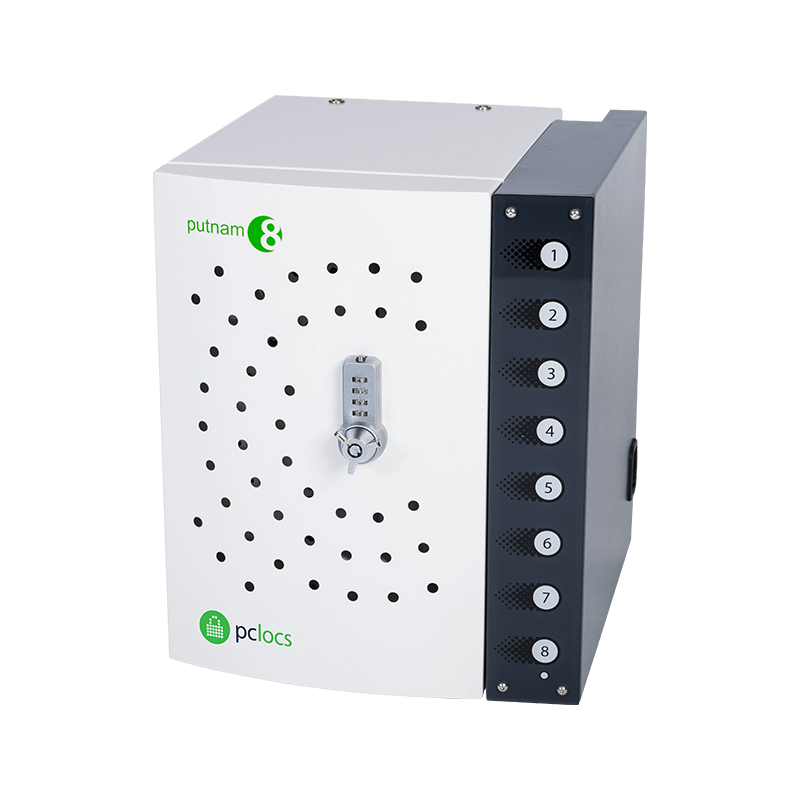 Designed with passive ventilation to minimise heat build-up during charging. Lifetime warranty (2). PC Locs products are built to last. Learn about the key features of the FUYL Tower’s firmware from version 1.09-1.14. Specifications and images are for illustration purposes only. Final product may differ. iPad is a trademark of Apple Inc., registered in the U.S. and other countries. 1 May not fit all devices and cases. Please check compatibility. Contact us for more details. 2 Visit our warranty page for details.